Mr. 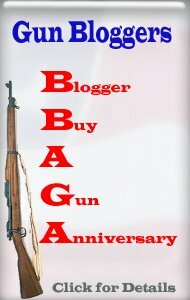 Completely: Free Ammo at The Gun Blogger Rendezvous? If registration for the Gun Blogger Rendezvous costs $35, and if you are a blogger you get $150 worth of free ammo delivered to Reno for your use in the shooting activities at the Rendezvous, would the free ammo make you more likely to attend? It would count heavily toward my decision to go. e-Postal Match "SCATTERGUN" Now Underway!